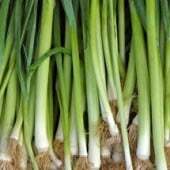 Heirloom leeks have a sweeter, more subtle flavor than their onion cousins. Start indoors and set out after hard frosts have past. 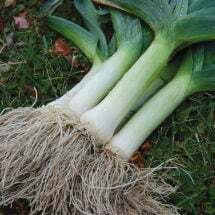 Keep them well fed and mound dirt around their roots as they mature to preserve their blanched, white color. Delicious in stews, stir-fries and soups. Leaves have a medium-green color and a broad white shank of medium length. 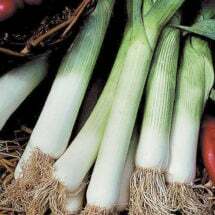 Very large stalks are extremely hardy and good for short-season areas. A good buncher for market gardens. 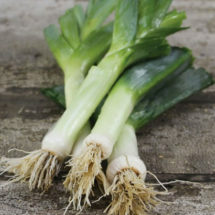 Tender white stalks have blue-green leaves.